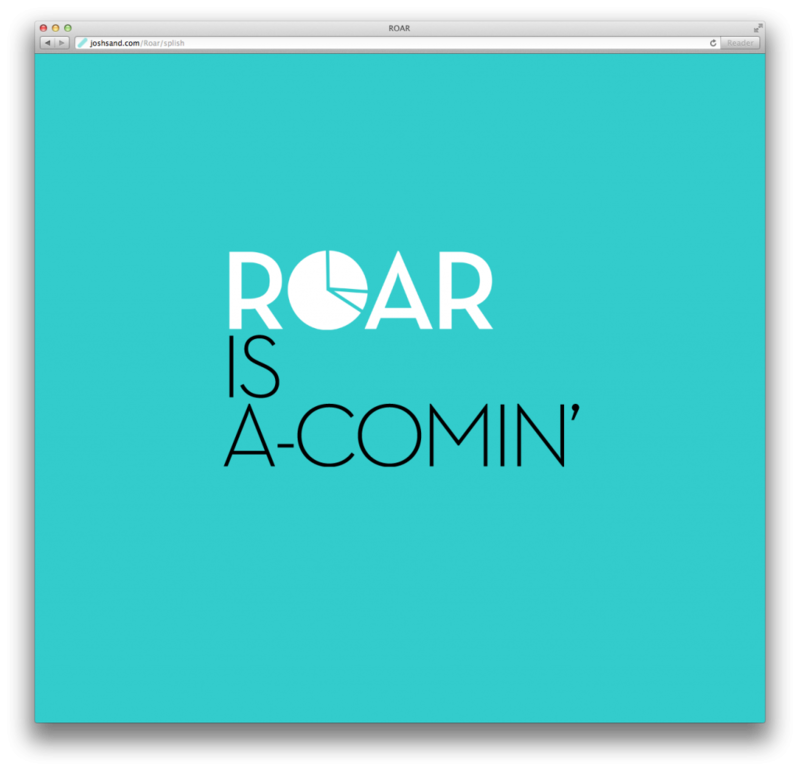 ROAR was the brainchild of me and Alex Ackerman. It was a polling widget that was going to be geared for ease of use and customizability. The business model was to leave a free version people could use that offered a few “styles,” and a paid version that gave full customizability to nearly everything about the widget, as well as editing options and advanced diagnostics. 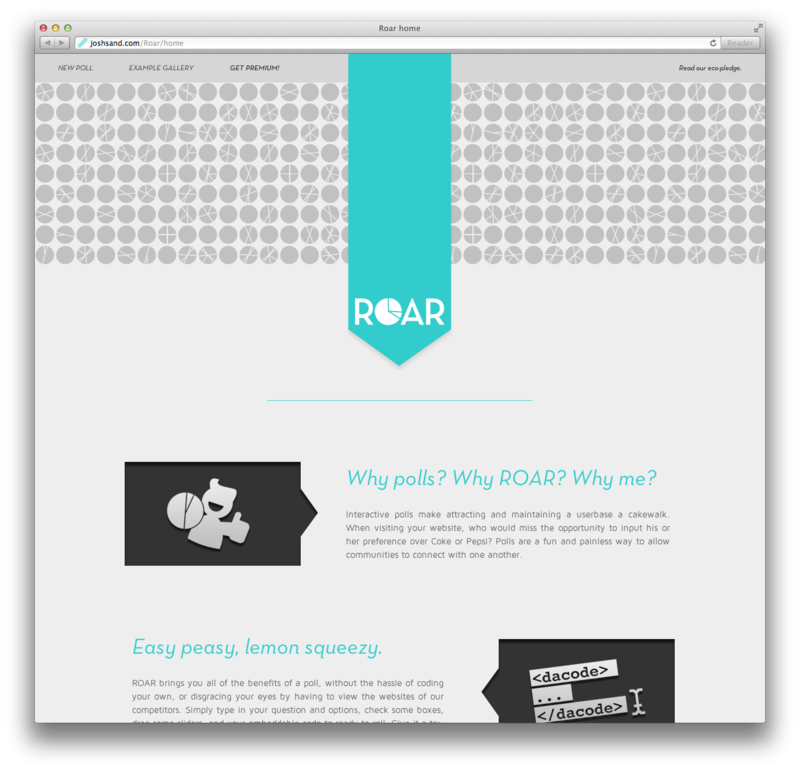 At one point there was a near-social network planned for pollers, but ROAR was shelved quietly without ever launching. However, it did survive long enough for me to make a snarkily written mockup of a homepage and some mockup “styles,” and long enough for Alex to make a working bar graph widget. I had been hoping to make ROAR into a vBulletin plugin so I could use it on the two forums I used to be active on, Nintenzone and Triline, but once those died out, my motivation for the plugin faded away. Plus, making lightweight pie graphs with CSS is…definitely something the CSS Gods did not one to do. David McCandless’ work on Information Is Beautiful was definitely a big inspiration for me regarding how creative you can get with a graph while still being clear and effective. 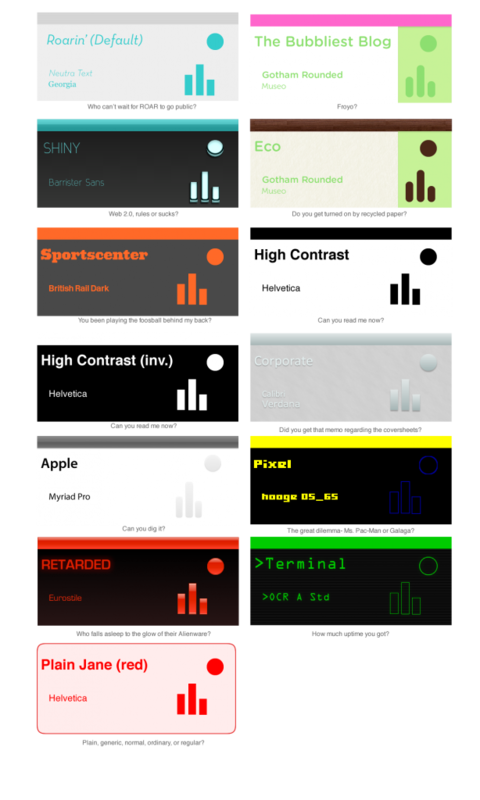 I had a lot of different display ideas drawn out, but many of them were very frustrating to get working with simple web languages, let alone frequently changing poll data. Well, this always can be revived if the time is right, can’t it?